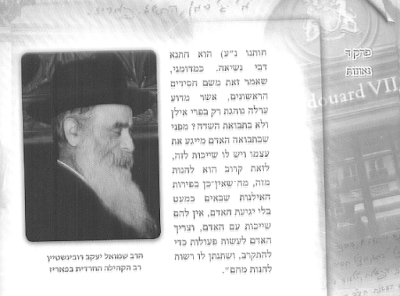 In the interest of full disclosure I will say that the author is one Reb Yitzchok Brand, a Rov who goes up to har haBayis, as we see from the picture below, center. I do not condone what he does, nor is this an approbation of the above pamphlet. The topic has been getting lots of publicity lately, with Daf Yomi just passing the end of Kesubos, where the topic is discussed. Many maggidei shiur will stop and discuss the whole topic, VaYoel Moshe and all. All of them do it with the greatest respect for the author, despite disagreeing. The Sweet/Salty Gefilte Fish "line"
What about all the MO Kids texting on Shabbos?! See pages 8-11. It looks like they bought into it, hook, line and sinker. All it takes is buying the Satmar Newspapers over the years and you're sold on what they sell you. I would expect the publishers of this journal to know better. But I guess since Minchas Elozor writes a nice letter to him... and since he was a zealot like the ME, it's all good. Whatever. BZW was the Williamsburg lawyer who found one Avrohom Ber Levin in a Catskills hotel and liked what he saw. He made sure all his kids knew about this man. He was a zealot, you might say. He didn't subscribe to the new style of Judaism being developed in America. But yet, he did what the headline here says he did. Well, I guess you could excuse it by saying that the event wasn't for RAYK himself, to honor him or anything, but for the Yeshivos in Europe. But we all know that a TRUE zealot would today not attend an event also attended by an adversary and ideological opponent such as the Yaffer Rov. Or maybe a true zealot could see the forest despite the trees and not be distracted by trivial matters such as who is attending. You might say just like RAYK himself, who left the comfort of the Holy Land to travel to the US to save the Yeshivos in Europe. I don't usually like to post such clippings, simply because it seems like we have something to prove. But the "Ungarishe Seforim" line is what grabbed my attention. Ungarishe Seforim are basically scorned upon by their Polish and Russian counterparts. The Litvaks goes without saying. Other than the Chasam Sofer and a few others, of course. Most Geonim wouldn't bother with the Ungarishe Seforim, it's a waste of their time. But the Rebbe knew that תורה היא וללמוד אני צריך. 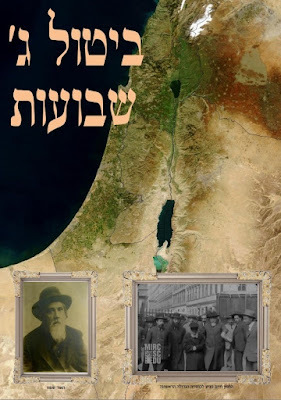 There is a story of a Jew who met the Rebbe in Yechidus and was asked where he learned in Europe. The man foolishly dismissed the question, telling the Rebbe, איר האט מסתמא נישט געהערט פון אים, his name was Reb Shimon Greenfeld of Semihaly. To which the Rebbe responded, MaHarSHaG? He brings the Alter Rebbe in his Tshuvos some 77 times! 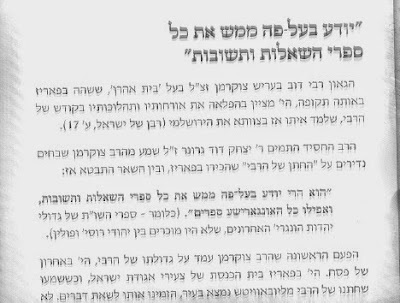 Shalom Uvracha, please find attached the Maamar Lehavin Mitzvas Ahava from the Alter Rebbe Part One with Chassidus Metzuyenes. This is a special maamar on Ahava with a connection to Matan Torah. The Dati Le'umi people are thirsting for inspiration. They're wired for Chassidus, often times much more than Bnei Berakkers. Looks like it's not all Chabad or Breslov either. They'll go anywhere they're accepted. From Toldos Aron to Kretchnif and everything in between. The Sadigerrer Rebbes have a long-standing tradition of having many of these people in their midst, from the old country to Tel Aviv. They're also pushovers, these very accepting Dati Le'umi people, if you ask me. Why do they turn the other cheek to these who deny their existence and make them into evil heretics? I assume for the same reason they cried on the shoulders of those who banished them from their homes in GK some 10 years ago. I guess the messianic form of Zionism they preach does it to them. It robs them of their self-esteem and self-worth. It teaches them that they deserve to be stepped on and spit at. That's the only reason I could come up with. Chassidic culture or American greed? Eli Fischer meets the Dejer Rebbe in, of all places, Dej! There are at least two ways to look at this: One, that the system there is באנקראט and this is the last cry of a wounded animal who knows his time is up. Two, the beginning of a flareup of hostilities. Yes, times are different, and Williamsburg of today is not that of 1983. But at the same time, all it takes is a few rabblerousers to cause a divide and ruin a good thing. Lubavitch has been active around Williamsburg for a while now, just as Breslov is. So what caused the sudden rearing of the ugly head now? נאר איין ג-ט ווייסט. 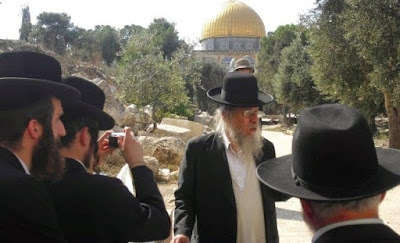 They have attacked Reb Yoel Kahan verbally, all the while spewing hatred and vitriol. Most people see these fools for what they are, and distance themselves from them. They're the same ones who demonstrate against anything else that moves in Willi. 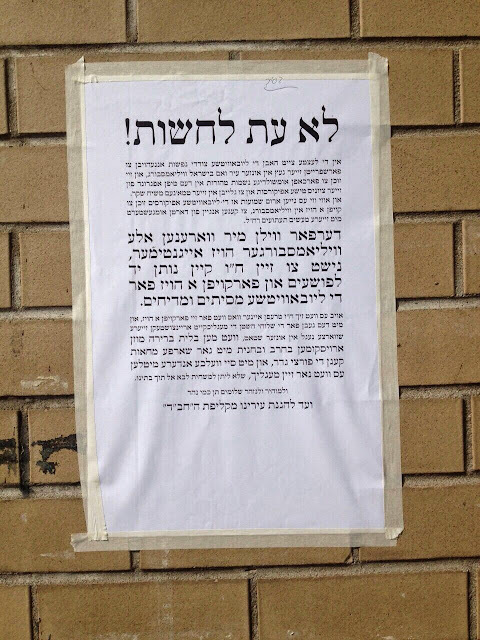 Yet, some people will say that the organizers of shiurim and farbrengens there should keep a lower profile, not because we need to give in to terror, but because of the hatred against Chabad and the Rebbe that they preach on bullhorns. Like the song goes... Except that sometimes, and with some people, we needn't wait till Lag BaOmer to play. We can play all year round. I'd thought that I was long past worrying or criticizing poses such as these, but I guess not. You never get over some things. גם על הדיין נראה לענ"ד שקצת רחמנות עליו אז ער דארף דאס מיטמאכען. ער איז דאך א איד וואס איז שייך צו לערנען. אבער ער האט דאך אים מכתיר געווען, דארף ער היינט "געניסען" פון די פירות. האט איר אמאל געהערט פון רעב כאים סאלאווייטשיק, דער בריסקער ראוו? אצל אדמו"ר האמצעי הי' ל"ג בעומר מיו"ט המצויינים. מען פלעגט ארויסגעהן אויפ'ן פעלד, ער פלעגט זיך ניט וואשען, אבער נעהמען משקה, וואס מצד הבריאות האט ער עס ניט געטארט. מען האט דעמאלט געזעהן א סך מופתים. דאס רוב מופתים איז געווען בנוגע קינדער. און א גאנץ יאהר האט מען געווארט אויף ל"ג בעומר. 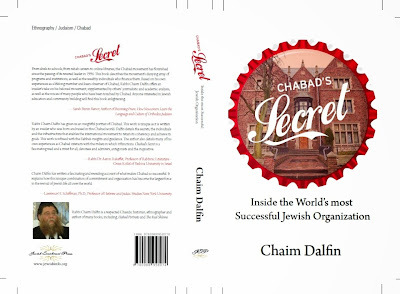 Rabbi Treger "Life Is Strange" Interview from Isaac Hertz on Vimeo. 10 years. It's a chunk of life. And for 10 years I've been writing. Making friends, enemies, admirers. Bringing you the material you've come to love and expect. Each piece may not be so much work, and often times, especially those long megillos, were quite long, but when you add it all together ----- wow!